Currently the autumn days here in Europe are truly glorious. But we are not only enjoying the sunshine outdoors, we are also prepping our plants for the upcoming colder and certainly darker autumn and winter days. Why? 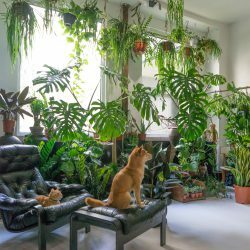 Because light is a crucial factor to keep your plants thriving and happy especially during the colder and gloomier season. But how can we assure our plants get sufficient light to stay happy and not suffer of a lack of light? This question requires both, the plant geek and the tech geek in you. See why and start something bright! OSRAM Opto Semiconductors – despite the very techy name – provide a rather simple solution to solve the aforementioned challenge! 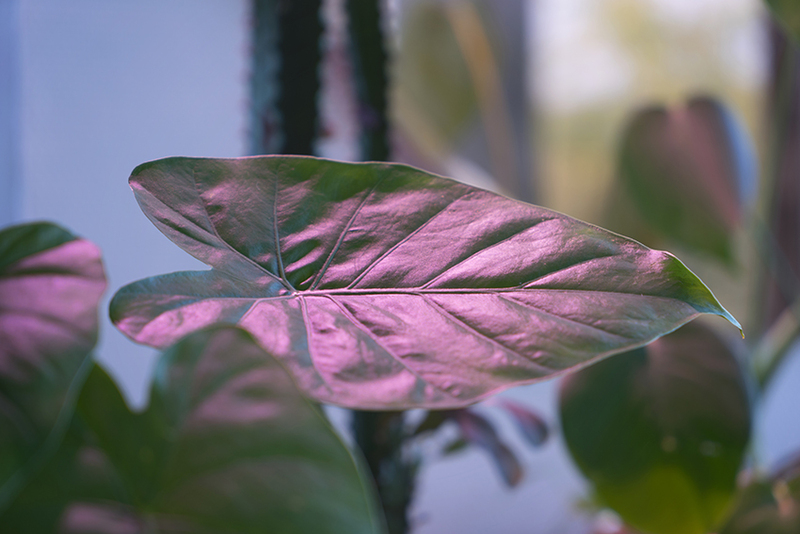 They offer special LEDs for horticultural lighting which will provide optimal growing conditions for your plants – whether they suffer of a lack of light due to the season or whether they are placed in a room without a window. They provide the special LEDs which are then part of luminaires offered by other brands. Now you might wonder: Why is it pink light? Let us have a look at that too. The pink light is something that we perceive with our human eye. In fact it is a mix of different ratios of wavelenghts between deep blue, hyper red and far red providing the right mix of wavelengths to stimulate photosynthesis. OSRAM Opto Semiconductors is a highly experienced company when it comes to LED solution. Their expertise stems from years and years of experience in various business fields, among them horticulture. As a big player they think of solutions for growing food on larger scale, urban farming, and other aspects of horticulture. 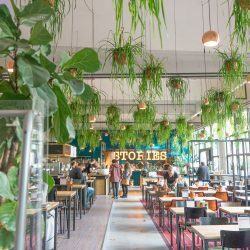 But their solutions are equally practical and available for the small-scale urban jungle fan through buying luminaires that include their LEDs. 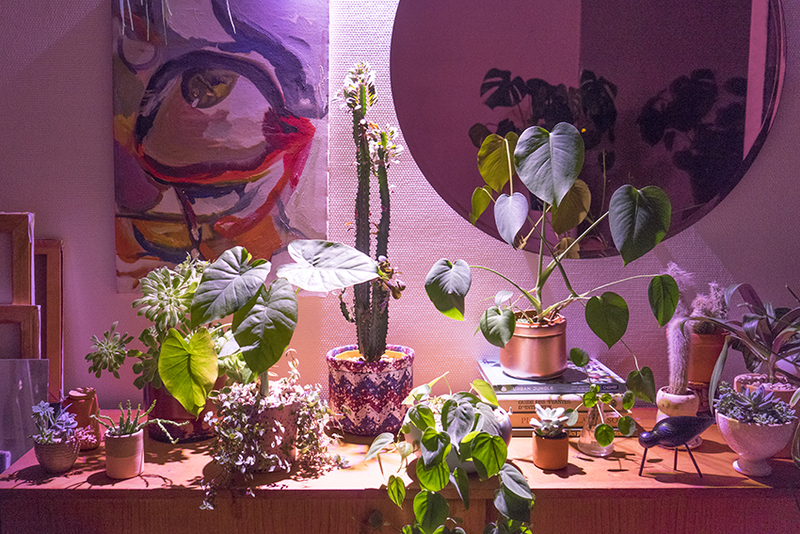 Growing plants at home requires adequate light too after all. But we do not want to just talk about facts here. We actually received one set of horticultural lights equipped with OSRAM OS LEDs to test ourselves. 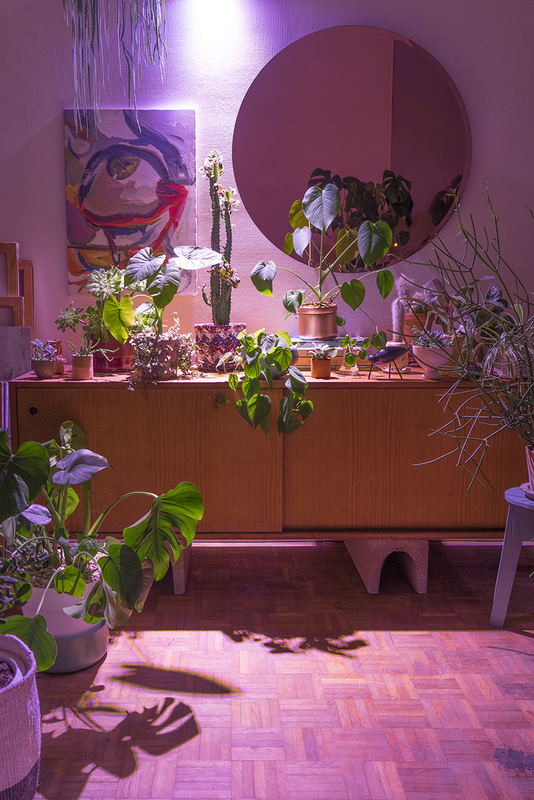 Judith installed the light fixture in her home and provides her plants with an extra dosis of light for growth. Now we don’t have any long-term results yet, but it looks promising. 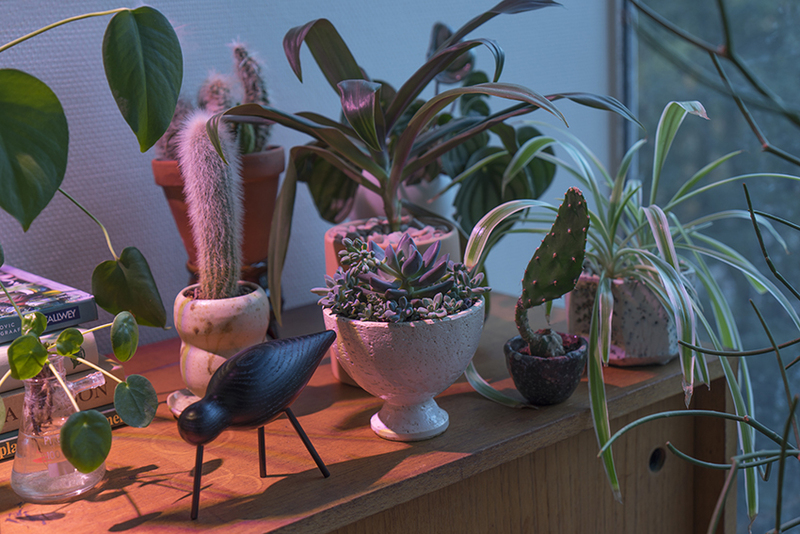 A not so bad side effect is the light show you get – a warm and cosy pink glow in your plant corner! The various LEDs not only foster a good photosynthesis of your plants, they also assure an even growth in height and width. 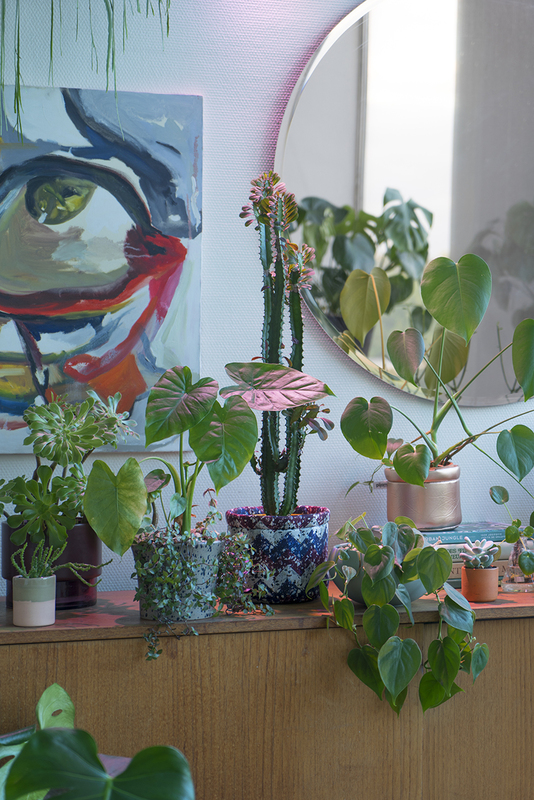 Think of certain succulents during wintertime or when placed in darker corners – what happens to them? They stretch out towards the light. They become wonky, long, with bigger gaps bewtween the leaves. 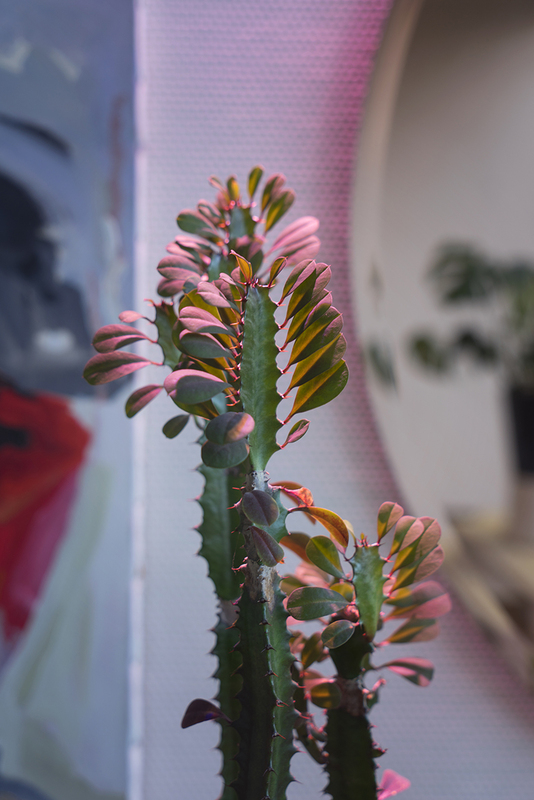 To avoid such growing peculiarities you need to provide optimal light – be it natural or artificial if needed. For this (among other reasons) the OSRAM Opto Semiconductors LEDs are ideal. This lighting fixture is not something you’ll find right now in a shop. In fact it is a development kit that we got for a first test. 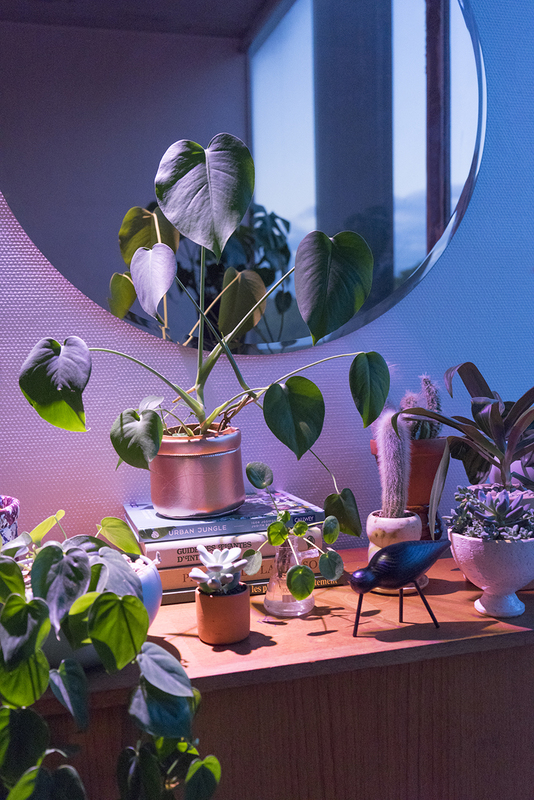 Horticulture luminaires for home use are just starting to be offered on the market – this may increase as more plant enthusiasts like us want to use them indoors. 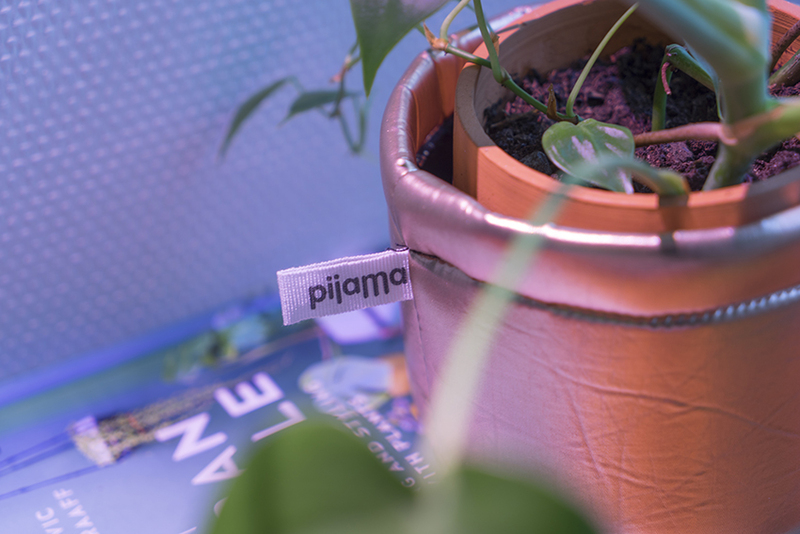 As a highly professional technical device it is meant to perform in the best way possible and assure the plants are thriving. 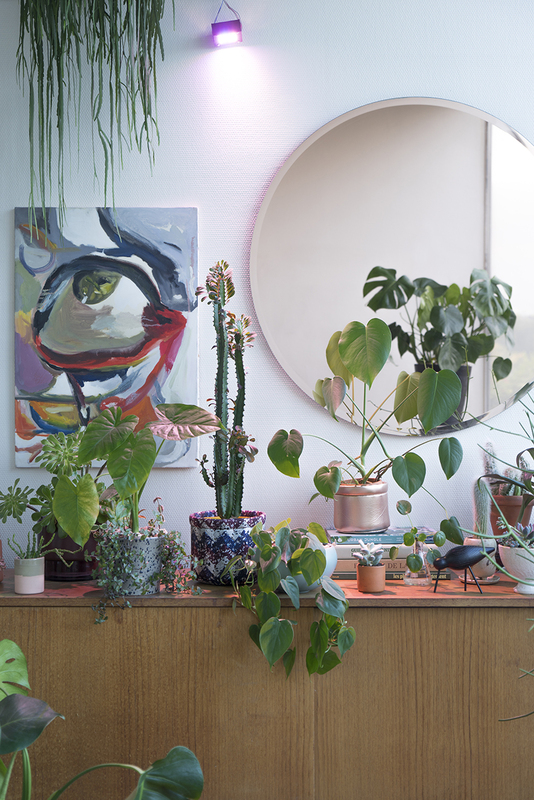 Whether you place the lighting fixture as a hanging solution or just next to the plants on a sideboard – it is up to you. You can also think of decorative ways of camouflaging the LED box given that the light is unobstructed and disperses evenly. 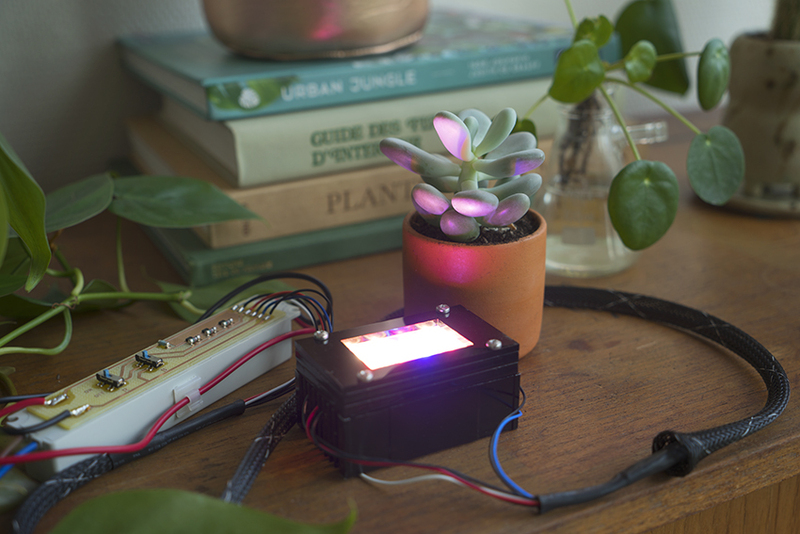 And frankly: This kind of solution makes us really feel like top-notch plant geeks! 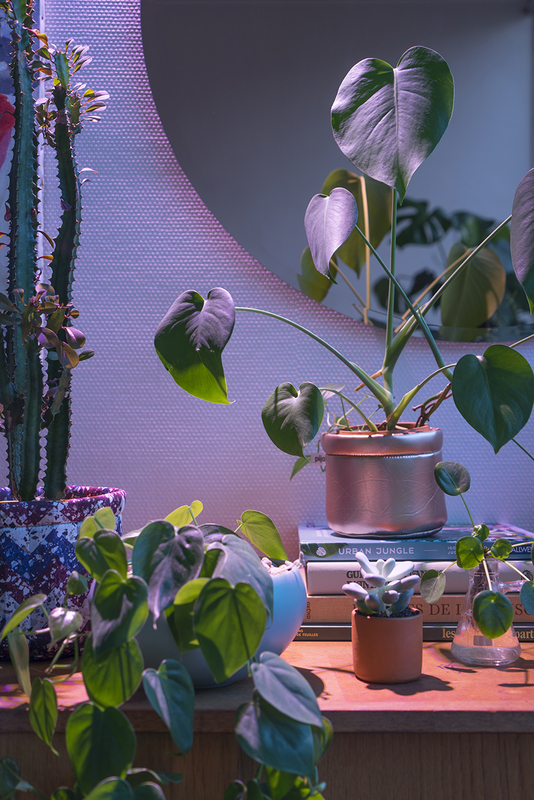 Go the extra mile for your plants’ happiness and start something bright – with the new horticultural lighting by OSRAM Opto Semiconductors. This blogpost has been brought to you in collaboration with OSRAM Opto Semiconductors. As always all opinions and photos are our own. Thank you for supporting the brands who support this blog!